Mao’s classless society is no more. “To get rich is glorious” Mao’s successor Deng Xiaping announced in 1979. With his reforms, a new pseudo capitalist program was initiated and it worked. 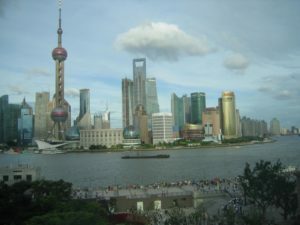 Today, some 10,000 entrepreneurs, each worth more than 10 million US dollars, have made China the world’s second largest economy and Shanghai a most modern city. Totally spruced up for the World Expo which runs until October 31, Shanghai is a city of the new rich. Conspicuous consumption is the rule. Wear Prada. Drive a Mercedes. Smoke Cuban cigars. In Shanghai, the new rich dress to kill — having money isn’t enough, you must show it. 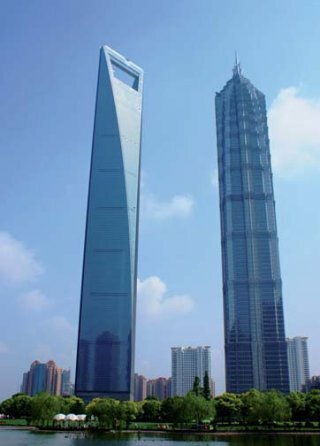 It is a city of gigantic towers designed to impress, little is on a human scale. But for architecture, art, culture, and history buffs , this city of almost 20 million is endlessly fascinating, Here are ten top options for a Shanghai visit, none of which will send you to the bank for a second mortgage. Please note: the city is awash in Dior, Versace, Prada, Hugo Boss et al. so none of the obvious are mentioned below. You can find that level of ubiquitous shopping at any number of upscale malls. 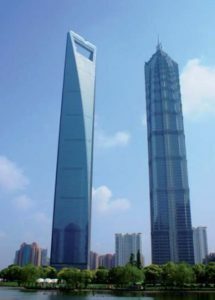 1.The Peninsula (above) is the first new building to be built on the Bund in the last 60 years. It is the place to stay as the location, rooms, gracious service, and a white-glove staff set the standard for what is best in a hotel. Handsome art-deco style rooms are silent because of triple glazed windows. Laundry is delivered in under six hours wrapped in tissue like delicate Easter eggs. Best of all, long distance calling is free. The various restaurants are all top notch and one of the best places in town for a cocktail is the rooftop bar . 2. Take a historical tour of the Bund, an Anglo-Indian word meaning “muddy river bank.” Most of the neoclassic buildings that line the waterfront were built in the 1920s and 1930s. 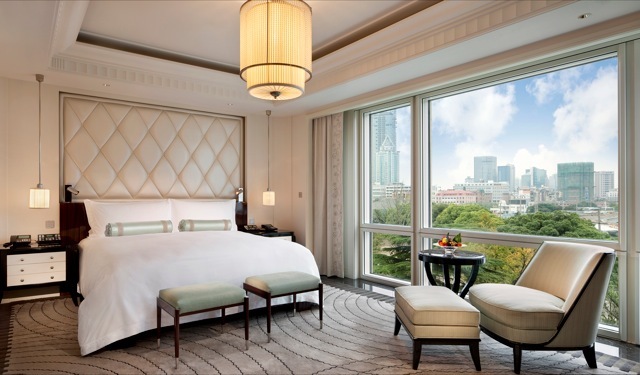 Almost 30 are now landmarked as “heritage buildings.” China’s first high-rise on the Bund, now the Fairmont Peace Hotel, is well worth a visit to check out the octagonal glass rotunda and cool jazz bar. History buffs should schedule a tour of the Bund and the French Concession with Spencer Dodington; e.spencer@luxuryconciergechina.com. 3. Drink tea in the garden at the Ming Dynasty Gu Yuan Teahouse on Fuxing Zhong Lu in the French Concession. Or if you feel like being a total tourist, book dinner-theater tickets at the Yu Shanghai , a new 1930s-styled space dubbed as the city’s first “highly imaginative theatre-restaurant:” www.yushanghai.com. 4. Shanghai is the city that welcomed more than 10,000 Jews fleeing Nazi persecution in the 1930s and 1940s. The well-designed Jewish Refugees Museum at no.62 Chang Yang Road documents how these “stateless individuals” lived among the Chinese yet preserved their traditions. A short film in English sets the stage for a well-designed exhibition crammed with testimonials and artifacts. An Israeli journalist, Dvir Bar-Gal, leads tours of the places where Jews lived including the Hongkou district, known as the Shanghai ghetto (shanghaijews@hotmail.com) or www.shanghai-jews.com. 5. For a special dinner, head for Mr. and Mrs. Bund where the food is European, but served lazy-Susan Chinese style with everyone sharing; . The menu is huge but the waiters will help you sort it all out. Wine is served in four sizes so you can sample what’s on tap before indulging in a bottle. The waiters in suspenders, patches on their sleeves and converse sneakers are a match for the high-spirited cuisine, especially a three-layer truffle bread with lemon foam. 6. Three boutiques which have individual, original hand-mades are Suzhou Cobblers for fanciful embroidered slippers and bags; 17 Fuzhou Road,: Annabel Lee for luxe silk shawls and blouses with jade buttons; www.annabellee.com: and Spin Ceramics for highly styled white contemporary porcelain; 6 Fangyuan W. Rd; . If you need a ton of presents —copy handbags, watches, luggage — at thrift shop prices, hop a taxi to the Shanghai Fengxiang Clothing Gift Market. Be prepared to bargain fiercely. 7. The best dim sum is at the noisy, crowded Din Tai Fung on the second floor of a shopping mall in Xintiandi, a series pedestrian streets with shops, cafes, and bars. Come with a major appetite as you wont find steamed dumplings as good as these anywhere else. Shop 11A, Building 6, Xintiandi South Block. 8. The Shanghai Art Museum has one of the world’s best collections of ancient bronzes, ceramics, and calligraphy. 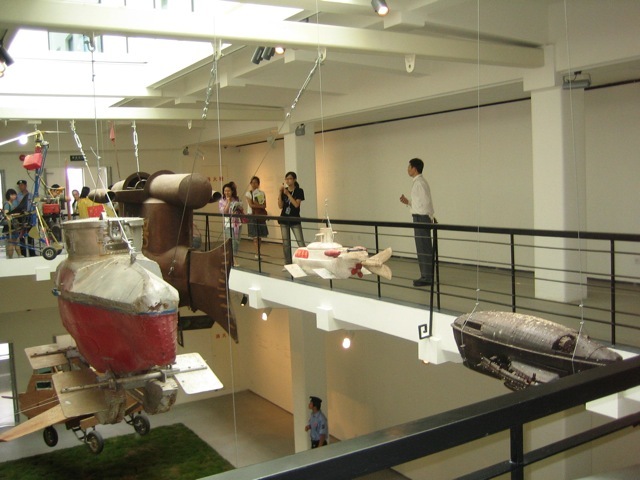 For contemporary art, check out the up-to-the-second Contrasts Gallery; ShContemporary, and in the Moganshan art district, M97 gallery. The new Rockbund Art Museum (above), a 1932 restored art-deco building, is the place to go for strikingly fresh and new exhibitions; rockbundartmuseum.org. Keep in mind that art is probably the least censored and restricted medium in China. Almost anything goes in contrast to years ago when museum shows and galleries were consistently shut down. 9. The World Expo closes October 31 but some buildings will remain including the fair’s centerpiece, the 207-foot high, red, red, red Chinese Pavillion. The British Pavillion is equally stunning, especially at night with 60,000 glowing fiber-optic rods. Many thanks to Cathay Pacific and Dragon Air for great flights and making this journey possible. 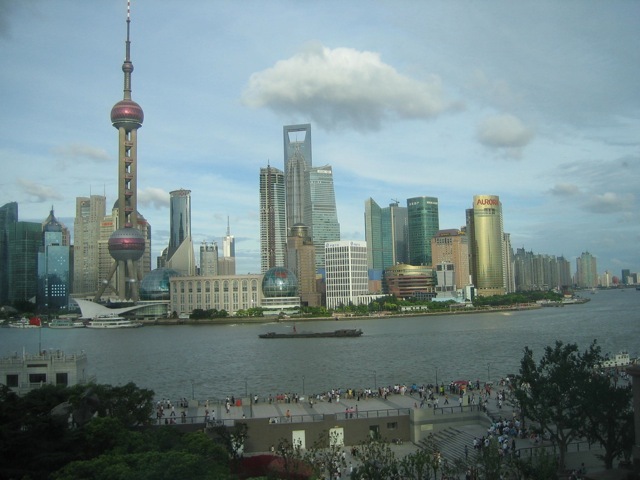 Shanghai is changing faster than the current on the Yangtze. Nothing was the same as five years ago and probably no city has transformed itself more agressively than this one. BOBBIE LEIGH has written for many national publications including The Wall Street Journal, Travel & Leisure, and Departures. Currently she is a New York correspondent for Art & Antiques. Hi Bobbie, great to read another piece from you on EP’s blog. I hope all is well with you and the family. We’re fine here, celebrating a decade in beautiful VT. Please come visit if you’re headed this way, we’d love to see you again. Muna and I and some friends are headed to China next year, an overland trip from Xining to Kashgar, more or less in Peter Fleming’s footsteps (News from Tartary). We were debating whether to visit Xian or Shanghai pre-adventure, and I think your article has resolved the debate, thank you. I’m off to Mustang next month, flying CX and Dragon Air as you apparently did on this trip. I’m pleased JFK-HKG is non-stop, and expect the service will be good. I’ve been sorting slides for the past month preparing to digitize the good ones, and found a great one of you and Richard crossing the river the last day of trek. I’ll send you a copy once digitized. Warm regards, Steve.